Your windows are one of the expensive investments you have ventured in your house and they deserve proper cleaning, washing and maintenance. Clean windows at your house will compliment your views, and give your house that final touch, you can see the difference. However, many people are infuriated in cleaning windows because no matter how hard they scrub them, the windows remain dusty and streaked. Do-it-yourself window cleaning tools could also be expensive and could worsen up your trouble. So, if you want to retain your windows clean and polished; Bling Services will be your partner. At Bling Services you start up a “clean way” to restore your dirty windows to crystal-like glass. We at Sacramento Window Cleaning Pros offers top-quality window and gutter cleaning in Sacramento, Roseville, Granite Bay, Davis and El Dorado Hills and we take pride of the services we give. The company has been unyielding to their goal to accomplish total customer satisfaction. We shoulder all your window and gutter cleaning needs without the burden of costly price. 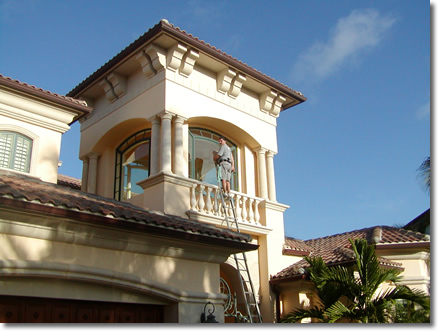 Be it commercial or residential, our company specializes in window and gutter cleaning service in Sacramento. We also secure your windows with high-quality cleaning products and equipment. 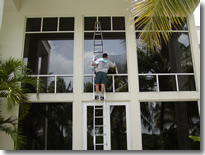 Our team is composed of the best and professional window cleaners in are area. Areas where our company serve: Sacramento, Roseville, Granite Bay, Lincoln, Eldorado Hills, Placerville, Auburn, Davis all of the Sacramento area.